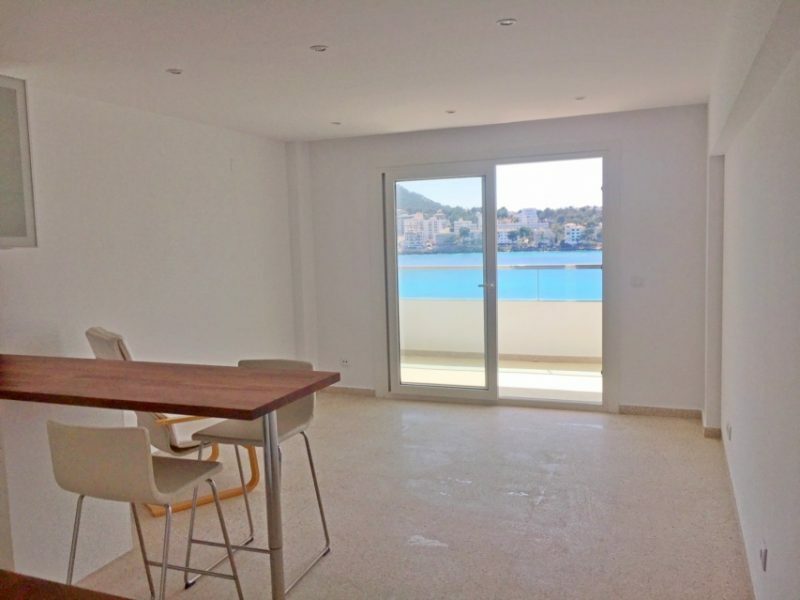 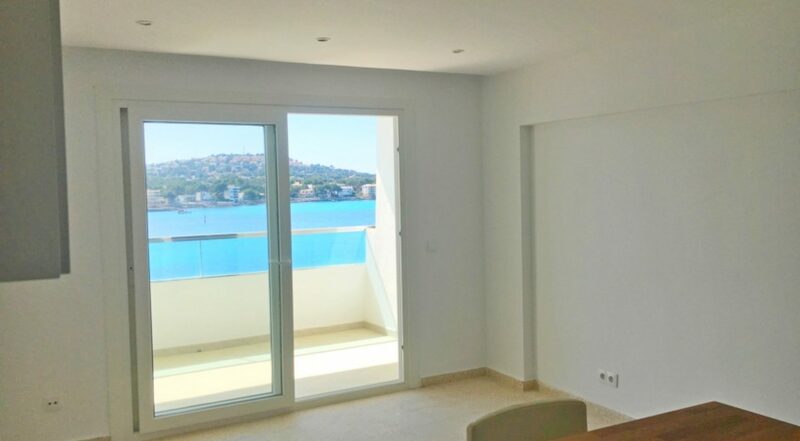 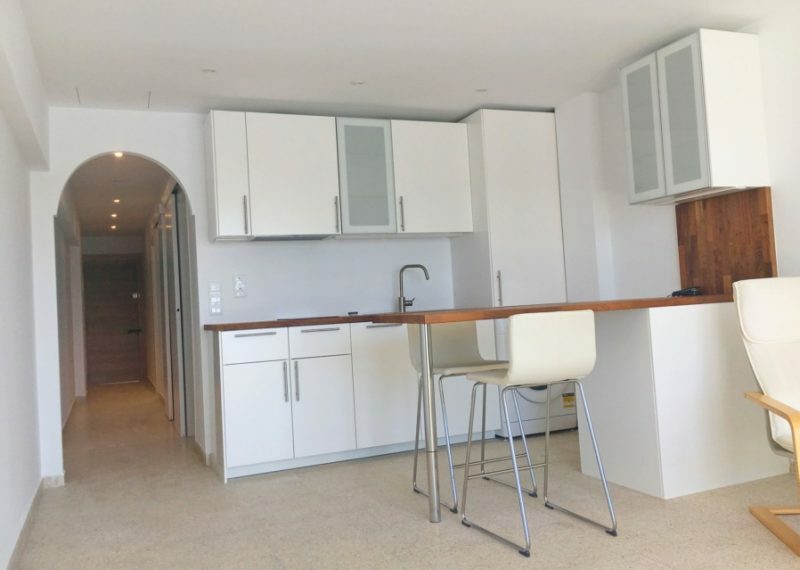 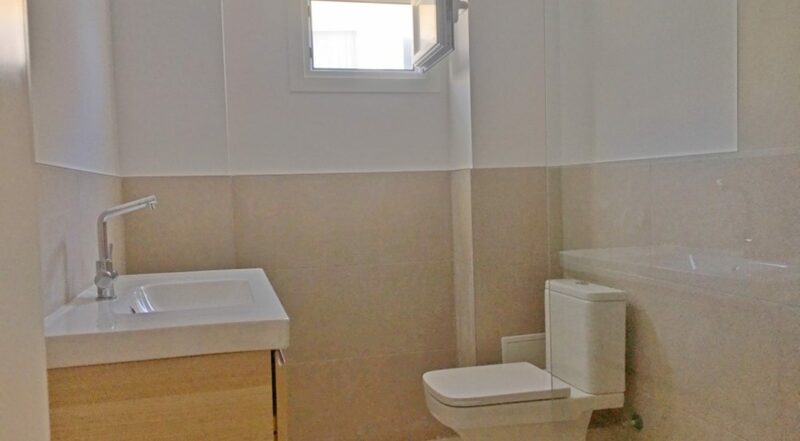 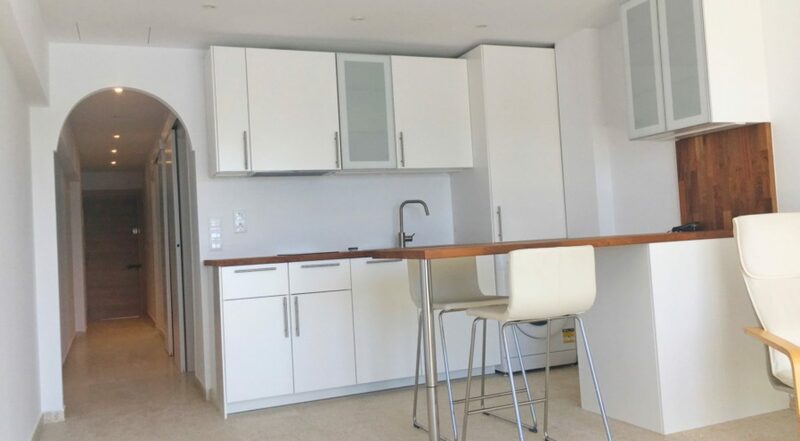 Bright renovated apartment located in the first line of the sea of Santa Ponsa and close to the sandy beach. 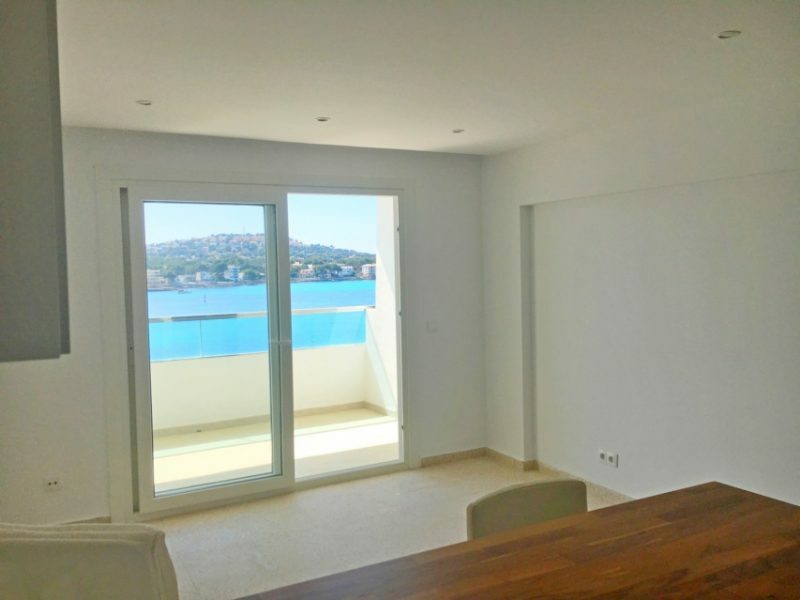 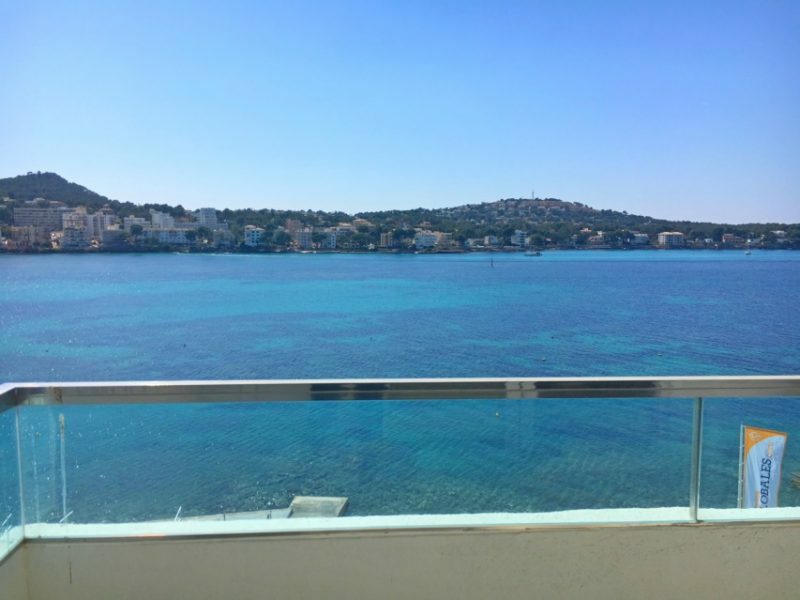 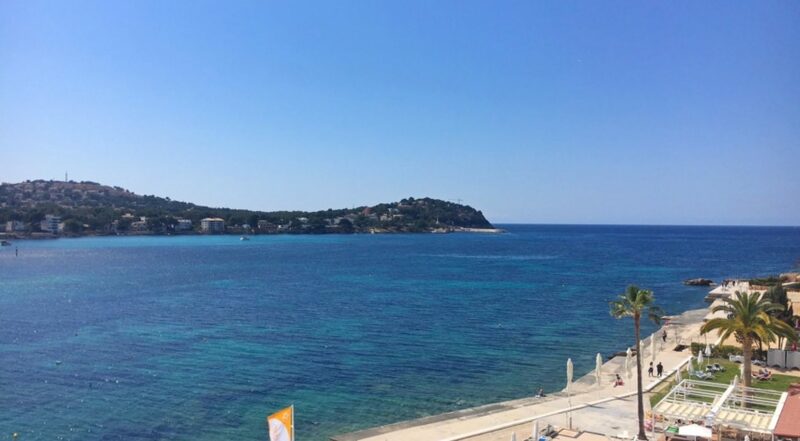 This apartment not only impresses with its fantastic view over the entire bay and the open sea, but is also located in a hotel building, which also has condominiums. 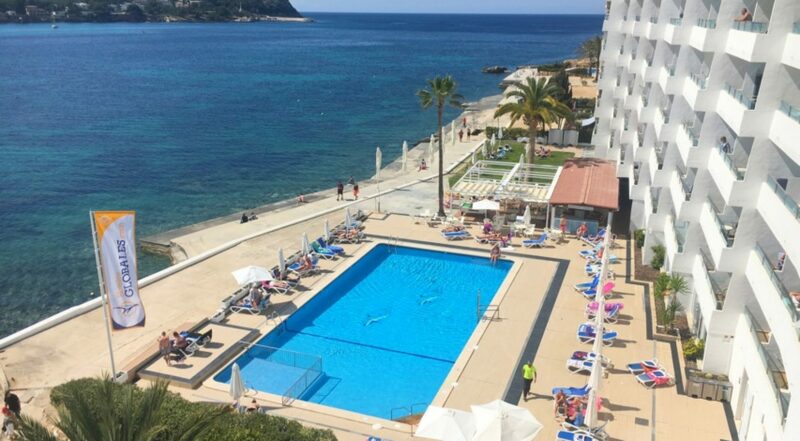 Thus, the use of all the amenities of the hotel, such as the room service, the pool with a beautiful sun terrace and the gastronomy possible. 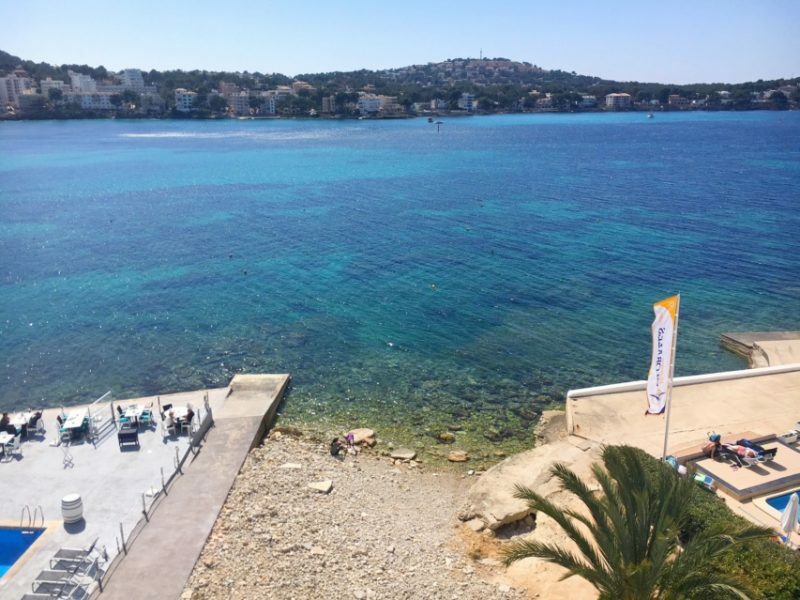 The seafront location and the waterfront promenade, just steps from the sandy beach and restaurants, provide a perfect holiday ambience. 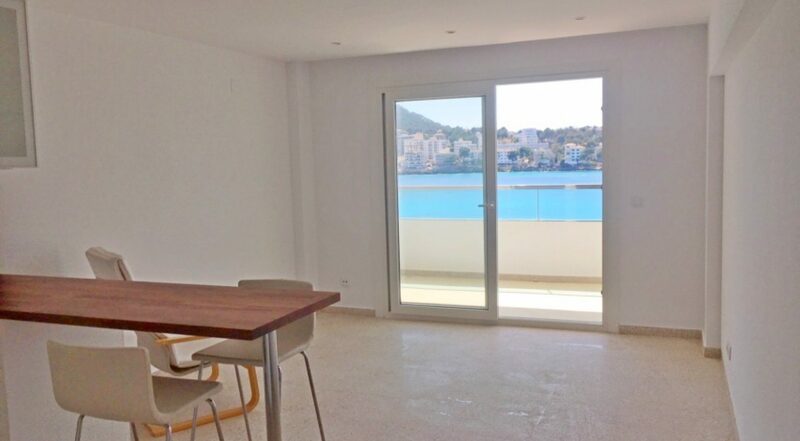 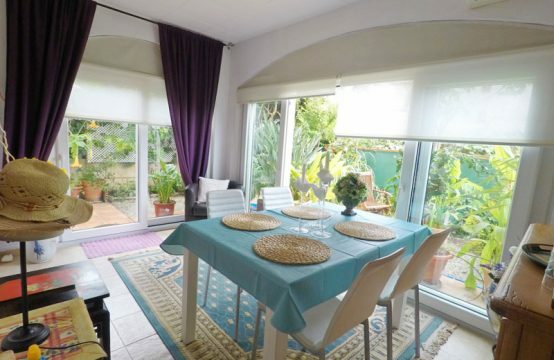 The apartment consists of a bright, open plan living area with an American kitchen which is fully equipped. 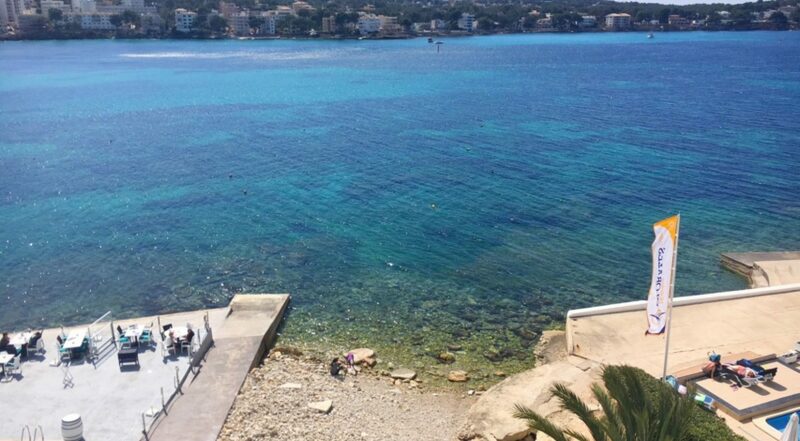 Already from this area you can enjoy the turquoise blue of the sea. 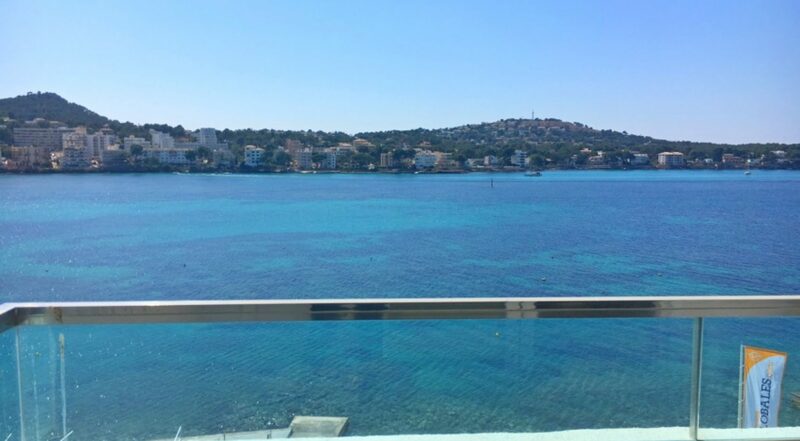 However, if you step on the covered terrace you do not want to turn your eyes away from the beautiful bay. 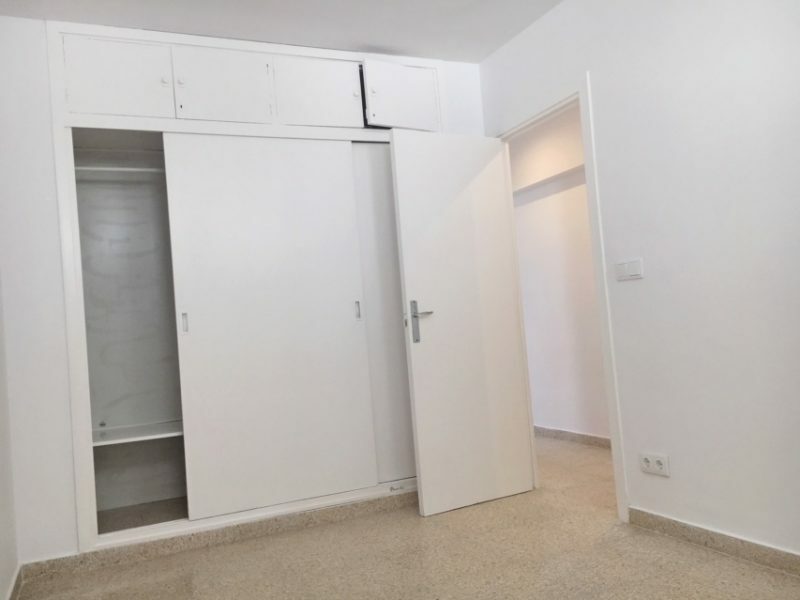 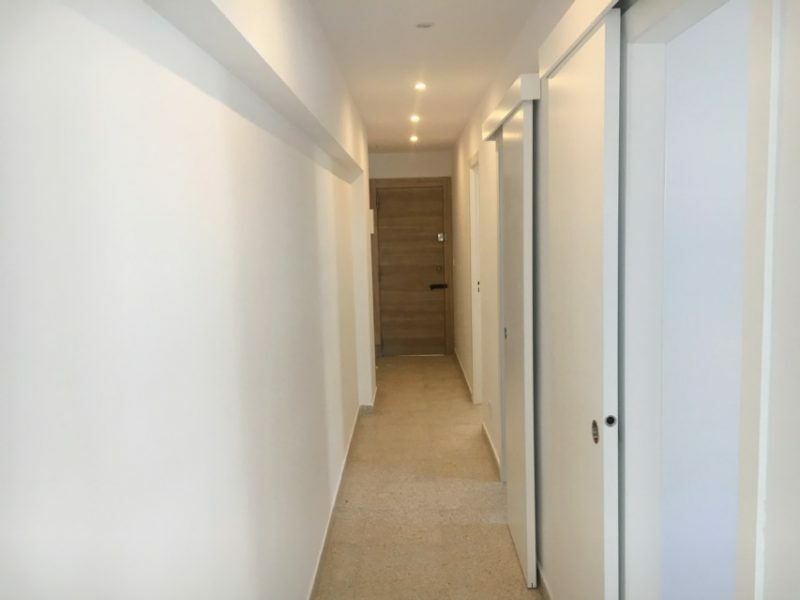 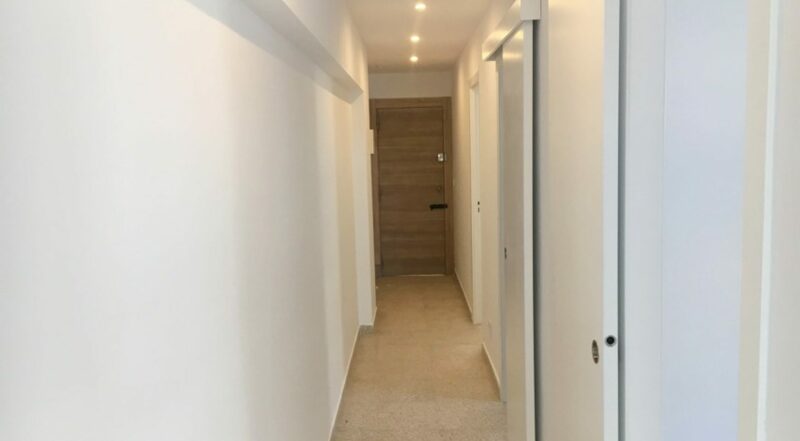 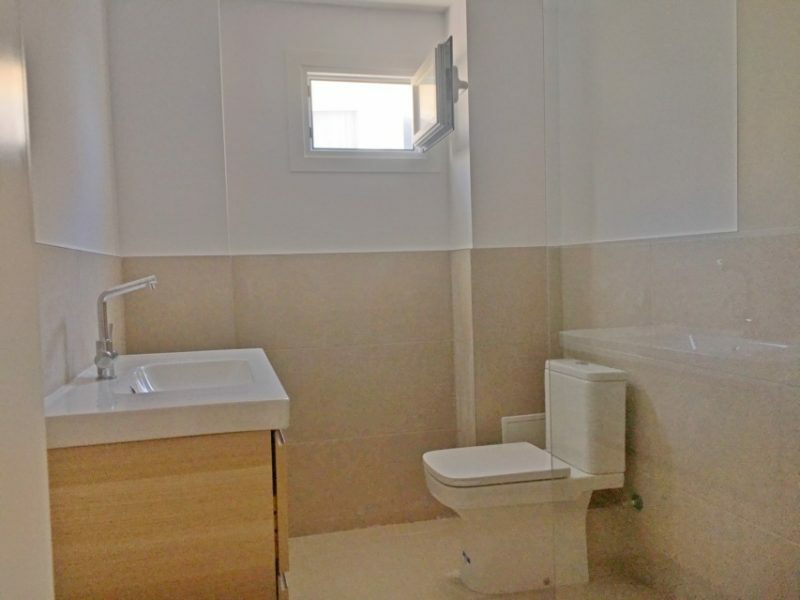 Furthermore, the apartment has a double bedroom, a modern bathroom and another room of about 5 m2, which can also be used as a single bedroom. 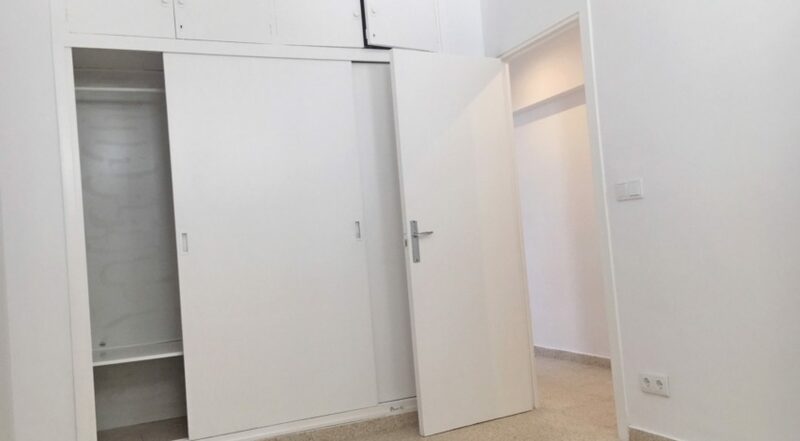 Further equipment: fitted wardrobes, tiled floor, air conditioning preinstalled, double glazed PVC windows, open fitted kitchen with electrical appliances, elevator. 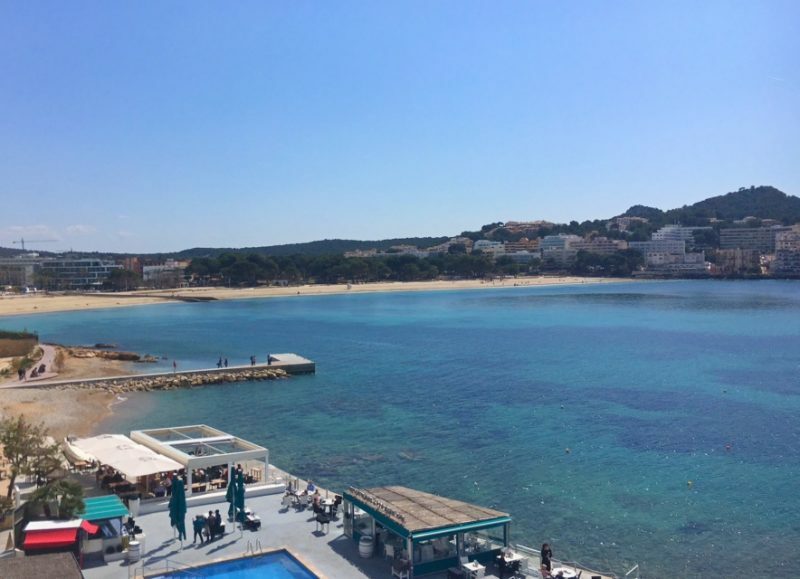 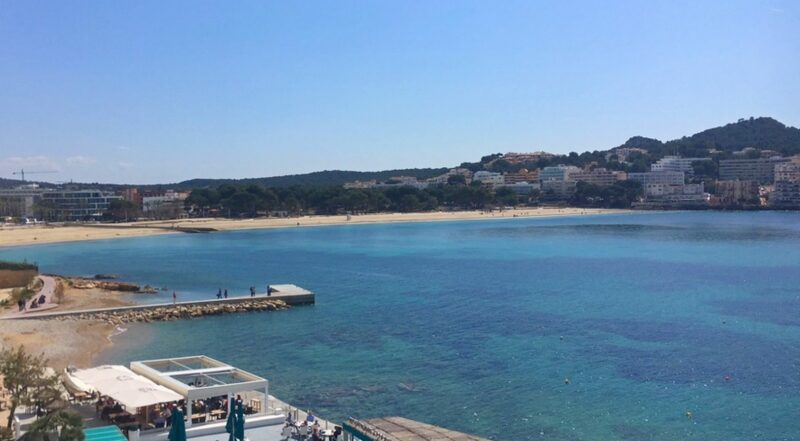 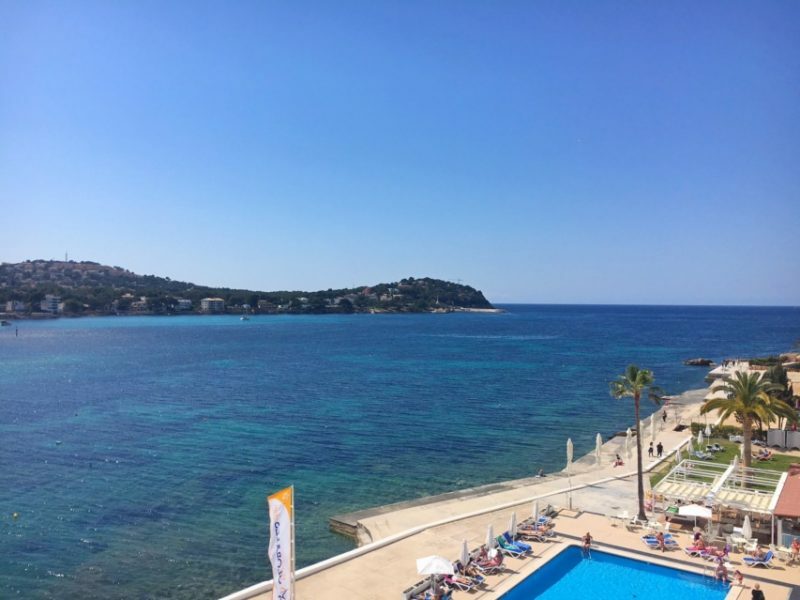 Santa Ponsa is located in the southwest of Majorca and has two sandy beaches: a 560-meter-long beach and a slightly smaller bay called Caló d’en Pallisser, which is referred to as the “small beach”. 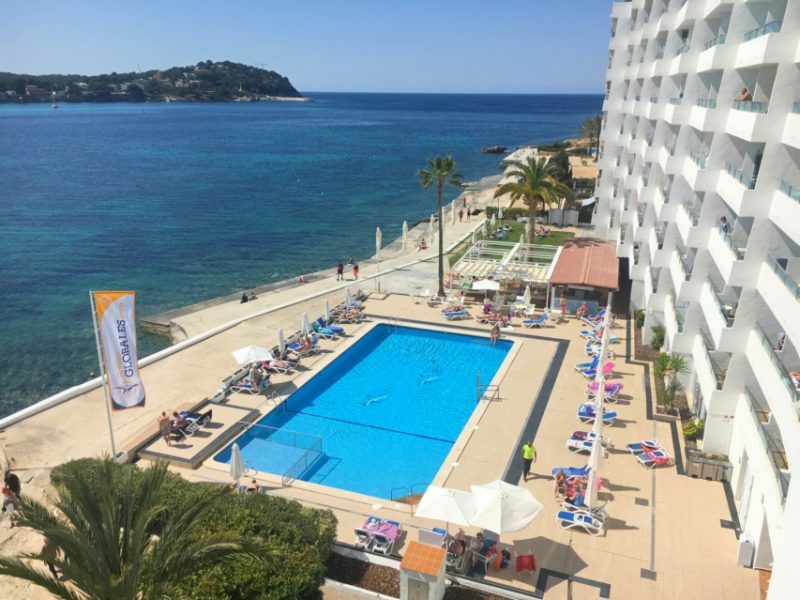 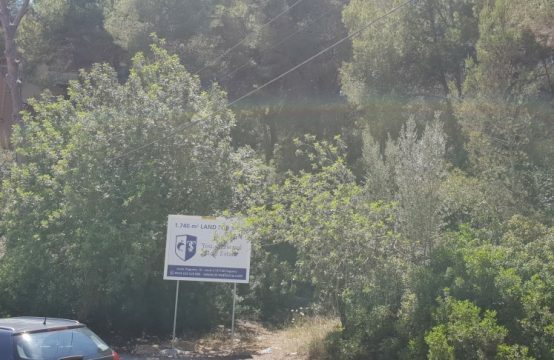 In Santa Ponsa you will find everything you need for a relaxing holiday.